From 01-03.05.2015 it finally happened. The second World Championship IPO could launch in beautiful Falkenberg / Sweden. It was a great event that was marked by sportsmanship and fair play among the participants and guests. 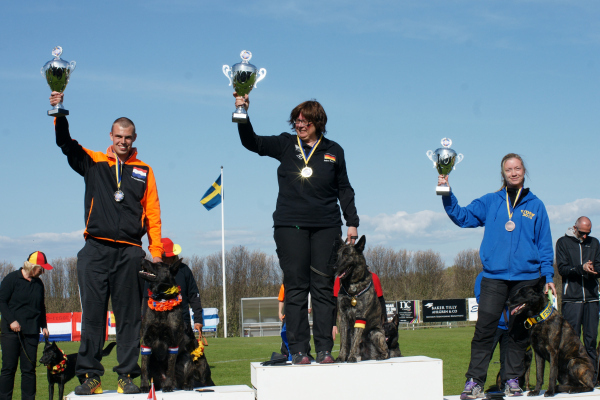 Even the official training pointed to what high level the dogs are trained and made ​​feel like the actual race. The team led by Lars Czylwik has organized the event perfectly. They were always approachable and always there for us. The RHH was an excellent host. Although it is a small breedingclub, they have managed the championship to give a worthy setting. There were 27 teams from 9 countries in the testing stages IPO 1-3 at the start. The high level of training was increased in part in the demonstrations and so it was very exciting to see who can take what cup home. In the IPO 1 Venke Chylwik (Sweden) with Ciphe v.d. 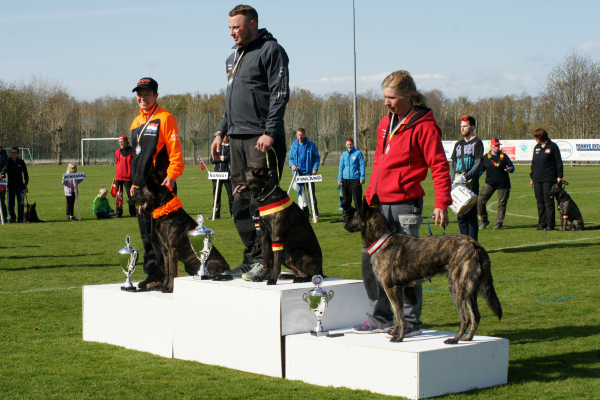 Wolfssklauw with 266 pts won the first place. In the IPO 2 it was Armin Frauenknecht (Germany) with Austrian High Spirit Agent Ayk with 269 pts, which is expected to take the trophy for the first place. 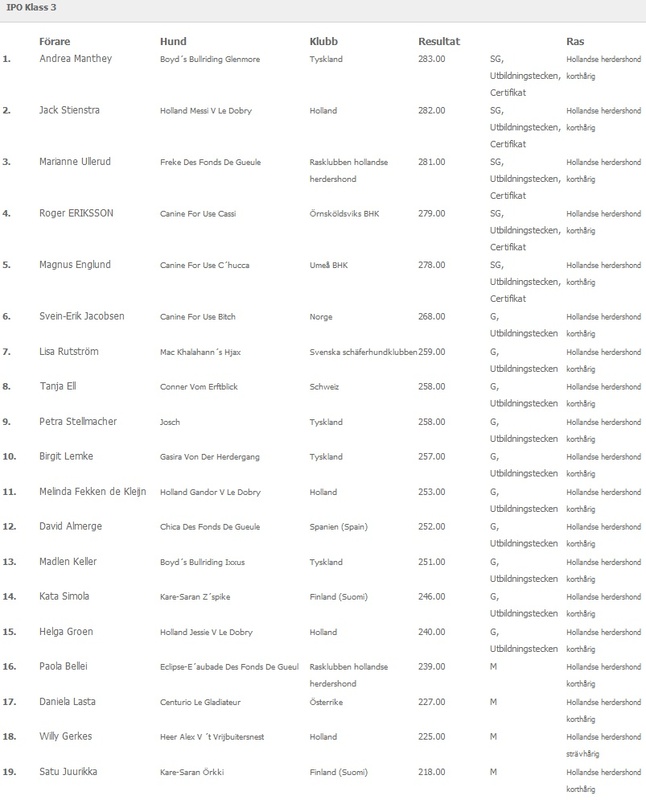 Andrea Manthey (Germany) with Boyd`s Bullriding Glenmore with 283 pts !!!! Jack Stienstra (Netherlands) Holland Messi v. Le Dobry with 282 pts. 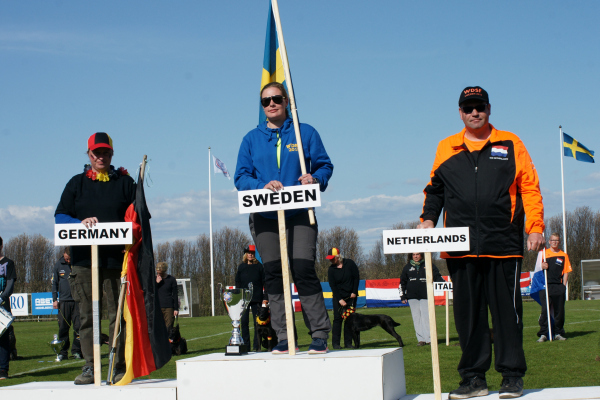 Marianne Ullerud (Sweden) with Freke Des Fonds de gueule with 281 pts. Congratulations to these great achievements. Andrea will our race represented on the FCI World Championships IPO in September 2015 in Switzerland with a Wildcard. All of us will remain in very good memories this World Cup. 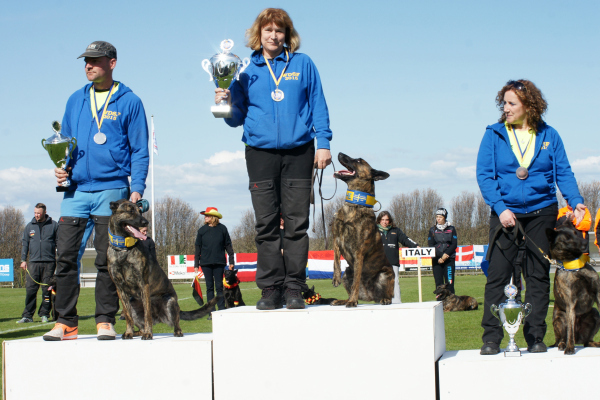 In addition to dog sport on really high level, it remained friendly and informal. The next World Cup will be held in May 2016 in the Czech Republic. We look forward to welcome you all back there and are hoping to learn a lot of new friends.